Having an MOT test on the horizon can be stressful. The thought of your car being out of action and the potential cost of getting it through the test, if it should fail, can send your blood pressure levels skyward. However, there are so many elements of the test you can check and, if necessary, fix before the big day, meaning all that worry may be unnecessary. 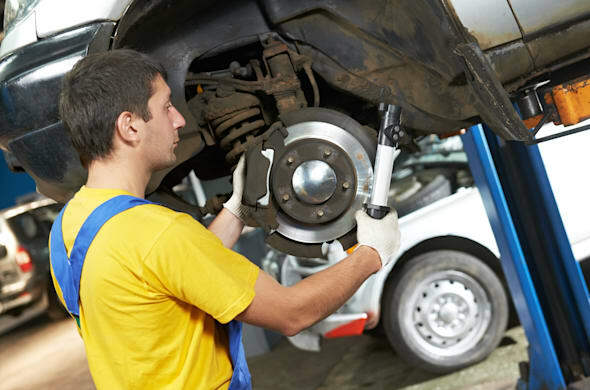 Adam Taylor from AutoProtect says: "Over 40 per cent of vehicles fail their annual MOT Test and we know it's something that most motorists approach with dread. "AutoProtect deal with thousands of car warranty claims annually and we know more than most what is going to cause a vehicle to fail, so we created a useful guide to getting our customer's cars through the test." There is no way you can full prepare for an MOT – exhaust emissions may be difficult to examine yourself – but by following the simple checklist below, you could avoid a costly failure. Remember when your MOT is due. Write it in a diary or as a reminder on your phone. You can book your MOT a month in advance to save yourself a last minute rush and give you enough time to check everything and correct any problems. Ensure you have all the keys for the vehicle and give it a good clean inside and out. Check all fluid levels including having sufficient fuel to perform the test. All doors should open from the inside and the driver's seat should move both forwards and backwards. Check there is no damage to the seatbelts and that they plug in OK.
Don't forget to check that all lights on the dashboard illuminate and go out when the car is started. Importantly, the windscreen needs to be checked for any damage because if there is any in the driver's direct vision, it's a fail. All doors should open from the outside and wing mirrors should not be loose. Windscreen wipers should be secure and not split. Tyres are also an important check – tread depth should be at least 2mm and there should not be any splits or bulges. Incorrect number plates can also lead to a fail – check they are secure, undamaged and easily readable. Ensure you maintain your car by having it serviced regularly. This will assist in passing your MOT as a car that is maintained is economical and more reliable. Most of all, a vehicle with a full service history stays within its warranty and is worth more than one without.